it reminds me that I have an exam in 2 weeks! Ugh. no income for me. Ugh I feel stress is boiling up again. No wait! customers happy? What if I get scammed! Oh no. Not ánother form of stress!? 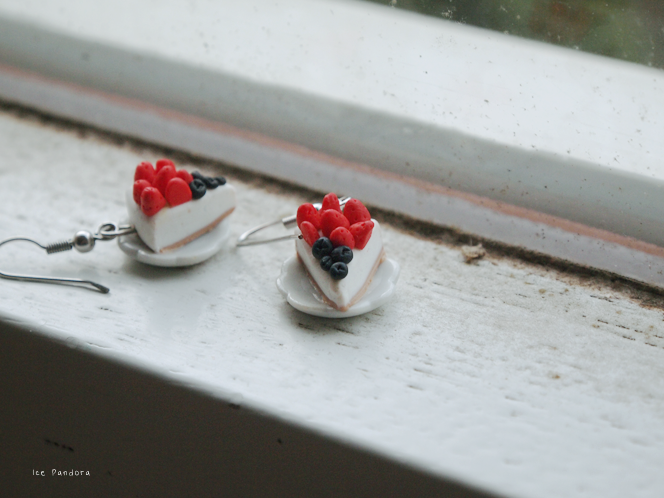 Not edible but these DIY cake earrings were a fun thing to make c: I have received compliments about it! Tho some people didn't believe me I made this. To learn it: click here! song of them is: Taylor Swift - Safe and Sound - and I don't even like Taylor, can you imagine! Wauw die oorbellen zijn echt mooi gemaakt! Nice photos! I love the earrings!! Good luck with the job hunt Mei! You can do it :) It's definitely hard in the beginning but with passion, you can do anything. I can relate to the feeling- was also jobless after graduation but after a lot of hardwork searching and landing some interviews, i secured one after 2 months. Best of luck dear :) and i couldn't agree more- i love weekends to..just being lazy and natural and good sometimes hahah without having to get all done up and polished! did you open your jewelry mini shop yet? if not you totally should! those cuties would sell quickly! I feel so hungry now. Shouldn't be looking at pretty pictures of food at 11pm! Boo for exams! I decided to pursue my Masters after I graduate sometime next summer, oh boy! Aww your DIY dessert jewellery is always so cute. 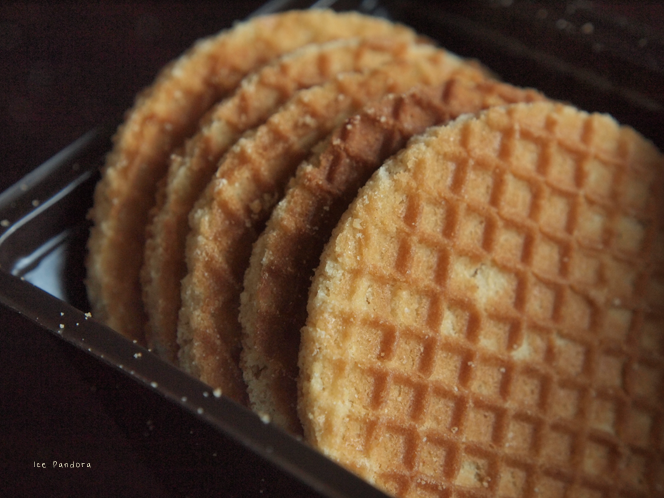 What are those waffle-like things? They look good! Job hunting after graduation will be a pain, but wishing you good luck in advance! On a side note, those little cake earrings are adorable! yayyy i love jayesslee too! my boyfriend actually surprised me with their concert tickets in malaysia last year hehe :) love em!!! my favorite jayesslee cover is "i wont give up"
Those earrings are incredible. Love them so much. 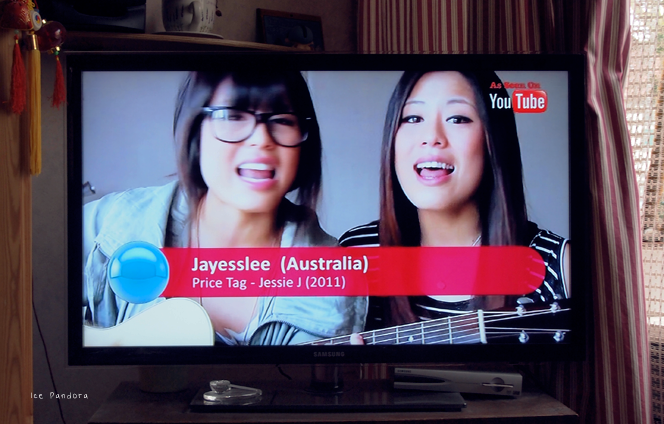 I love Jayesslee too, watch them on youtube all the time. Gosh that bowl of instant noodles with snow pears and some pork looks sooo yummy or maybe it's cause I'm starving right now hahaha Sigh it is that dreadful time of the year again isn't it? Exams! the first picture looks soooo yummy!!!! And the last picture, it makes me hungry! De oorbelletjes zien er heel leuk uit! Mooi gedaan. En nu heb ik dus zin in stroopwafels, haha! I love the cake earrings! OMG, these earrings are just perfect!! I need to make them, like, now!! 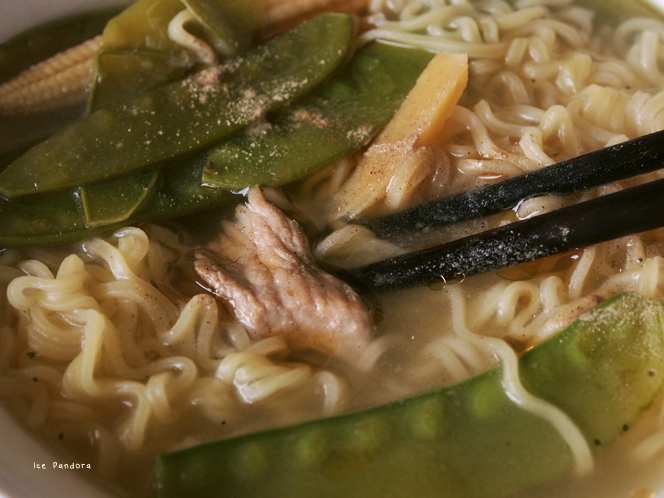 those noodles just made me super hungry!!! hahaha! Good luck with job hunting! Aw your jewellery is always super adorable and lovely! The earrings are so cute and pretty, you're so talented! Jobhunting is horrible when there are so many people applying as well and you don't have much experience. I've been having a bit of a ramen craving so that last picture is perfect. I'll have to check out those artists on youtube! I'm so amazed by your skills with those earrings! they look so pretty and edible indeed! i love your earrings and i normally eat stress away too :p i hope u do open an online shop! haha im a firm believer in stress eating! and i decided not to do grad school either- my brain had enough, thank you very much. good luck on the job hunt after graduation! it's been two years since i graduated and i *still* havent figured it out (i know thats not very comforting haha).